Lauren catches up with David Byrne, who's set to release his next solo record on the 9 March. We also have another Memory Tape and more new music for the Just Added playlist. 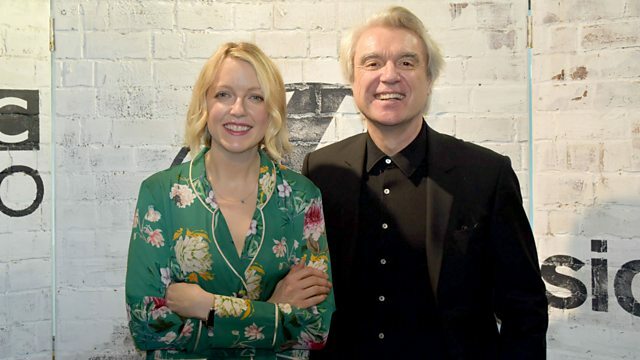 Lauren catches up with David Byrne, the former Talking Heads frontman, who's set to release his next solo record on the 9th March. Titled American Utopian, Byrne has said "The title refers not to a specific utopia, but rather to our longing, frustration, aspirations, fears, and hopes regarding what could be possible, what else is possible." We also have another listener's Memory Tape, there's more new music for our Just Added playlist, a Headphones Moment and as much great music as we can pack in.